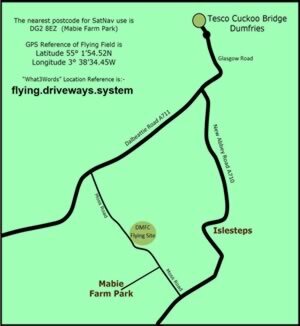 After 20 years based at Bankend, Dumfries Model Flying Club acquired the exclusive use of a new flying site in 2018. 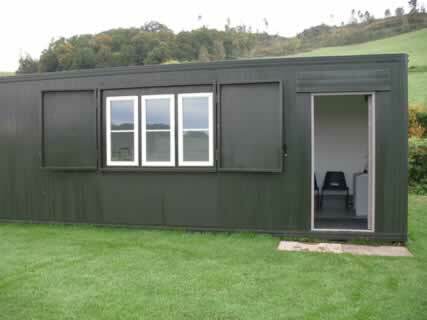 The location is at Moss Road, Mabie Meadows which is about six miles from Dumfries Town Centre. The site can be accessed from either the New Abbey Road (A710) or the Dalbeattie Road (A711). If necessary you may use the Contact Us page to obtain directions. The site is in a rural location accessed via a single-track road with passing places. 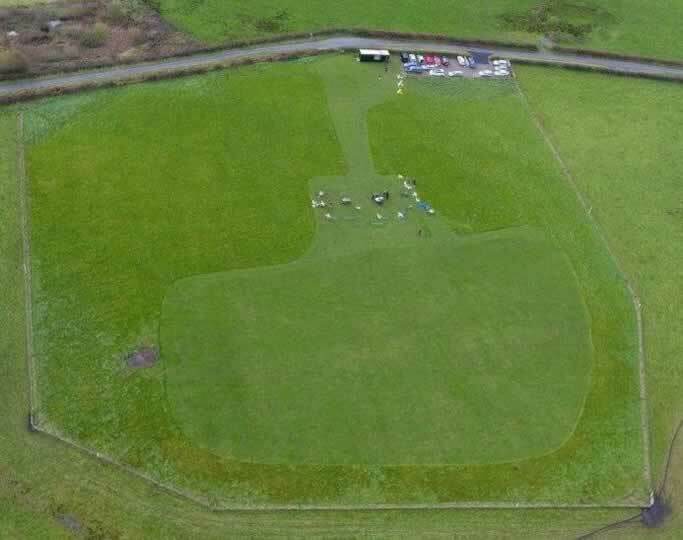 Members and visitors are asked to be considerate of other users of this narrow road, and should therefore drive their cars on to the flying site and NOT park on the road or in passing places. The field has hard standing for several cars, but cars must not be driven up to the pits area. 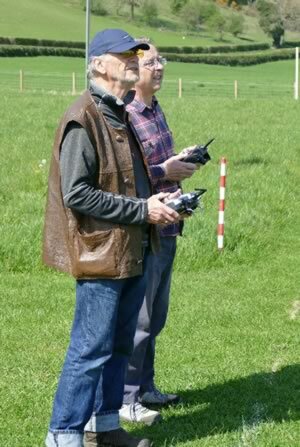 The flying site is free from obstacles and the Club has unlimited access, so flying is possible at all times (subject to wind and weather of course). The pilot stances face NNE, so the relative position of the sun is never a problem as it is always behind the flight line and within the No-Fly Zone. Most mornings, whenever the weather is favourable, there is a bunch of our retired members flying there from about 9.00am, and there is often flying all day at weekends. However, DMFC Club Rules do include some restrictions on flying times for noisier models including all those powered by internal combustion (i/c) engines. Turbine-powered models are not permitted to fly from the site, and no more than four models are permitted to fly at any one time. 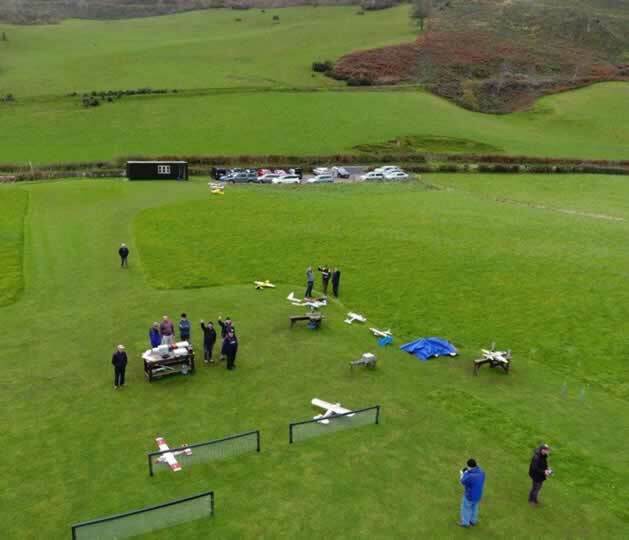 Our members mainly fly fixed-wing electric-powered models, but a few also fly i/c engined models and one or two fly helicopters in specially-allotted time slots. 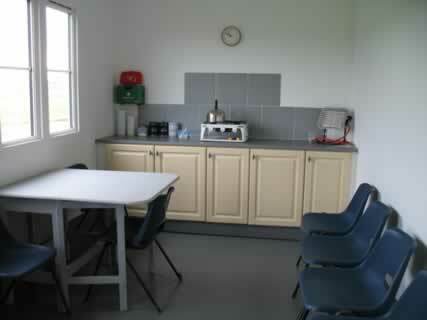 The field facilities include two large bench tables and several model stands with wing-restraining pillars which are shared at busy times. Pilots agree on the most appropriate pilot stance as indicated by the windsock, and this is duly marked with a red and white moveable pole. Pilots should stand together when flying so that any “Landing” or “Deadstick” calls can be clearly heard within the group. Attention is drawn to the Safety Matters page and to the Club Rules. 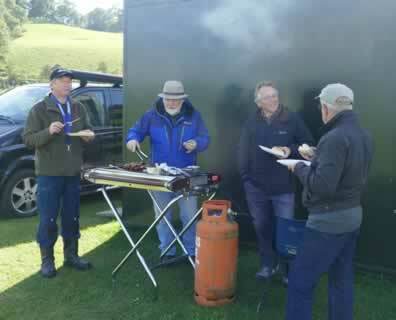 We have a very pleasant clubroom where members can sit and chat while enjoying their coffee and snacks, and Club Event days are usually major social events enhanced by a barbecue. You can view and download the Club Events Calendar from the Club Details page.